Flying into the Bozeman Yellowstone International Airport? We make it easy to rent a car for your travels. We will meet you at the airport with your rental car when you arrive. Once we get all of your baggage, it is only a quick trip to our office to complete the rental agreement. A few moments later and you are on your way. Returning your rental car to the airport couldn’t be easier. Simply park the vehicle in the economy parking lot at the airport and enjoy your flight home. 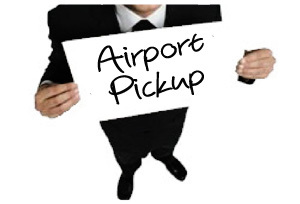 We are able to pick you up from the airport Monday – Friday from 8:00am to 4:00pm and Saturdays from 9:00am to 2:00pm. We are closed on Sundays. If you have a late flight into Bozeman, we can pick you up from your Hotel the following morning, except Sunday. When renting from the airport, additional fees may apply. Please contact us for more information regarding Bozeman Airport Car Rental. 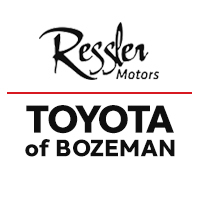 Located in our Toyota of Bozeman building adjacent to the Toyota Service Drive, we are here to provide you with everything you need for your vehicle rental! If you arrive before our sales hours (8:00AM) make sure to enter through the Toyota Service Drive (Open at 7:30AM). Must have valid driver’s license; At least 21 years of age; proof of full coverage insurance coverage; valid credit/debit card. Online reservations are only allowed 24 hours in advance. Prices may vary due to availability and seasons. To make a reservation within 24 hours please call 406-585-2010.